David Becker/StringerThe former Qualcomm chairman Paul Jacobs, seen here with a chip, wants to acquire the company. Early this week, President Donald Trump blocked Qualcomm’s acquisition by the Singapore-based Broadcom on the grounds of national security. Broadcom then withdrew its offer. 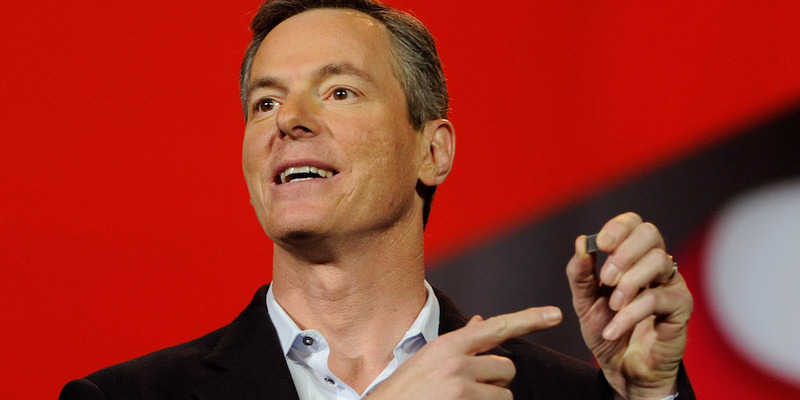 Paul Jacobs, whose father founded the $US89 billion chip company in 1985, informed board members about his plan to buy the company, according to the Financial Times. SoftBank, a Japanese holding company, has major stakes in several Silicon Valley companies including Uber, WeWork, SoFi, and Slack thanks to its $US100 billion mega fund specifically for investing in the industry. It also owns Arm, the British semiconductor company whose chip design is at the heart of most smartphones today. Broadcom, the Singapore-based chip company that Trump, on grounds of national security, prevented from taking control of Qualcomm in a hostile takeover, officially pulled its $US117 billion bid for Qualcomm on Wednesday.